Water St. Augustine and Zoysia at 8a, noon, and 3pm 20-25 mins rotors, 10-12 mins sprays daily for the initial seven days, twice per day at 8a and 2p for the following seven days, then once per day at 8a until rooted. Once lawn is rooted you may gradually cut back to your normal two days per week watering schedule. When reducing the number of start times per day increase the station duration by 50% each time. For Bahia please water once per day in the morning, spray heads 30 minutes, rotors 45 minutes. For heavily shaded areas with St. Augustine please water once per day in the morning at 8 a.m., rotors 40 minutes, sprays 20 minutes, and adjust if needed. Lawn can be cut only when rooted, insecticide and fungicide must be applied within five business days following turf installation and a second application fifteen days following the first application, excluding Bahia, do not apply fertilizer or weed control for 45 days. Please adjust water accordingly as this is for a guide only, areas with poor drainage or if the temperatures drop will require less water. DO NOT ALLOW IRRIGATION TO RUN WITH EXCESSIVE RAINFALL; TOO MUCH WATER WILL PROMOTE FUNGUS. Water St. Augustine and Zoysia at 8am and 2pm 30- 35 mins rotors, 20-25 mins sprays daily for 14 days, then once per day at 8a until rooted. Once lawn is rooted you may gradually cut back to your normal two days per week watering schedule. When reducing the number of start times per day increase the station duration by 50%. For Bahia please water once per day in the morning, spray heads 30 minutes, rotors 45 minutes until rooted. For heavily shaded areas with St. Augustine or Zoysia please water once per day in the morning at 8 a.m., rotors 40 minutes, sprays 20 minutes, and adjust if needed. Lawn can be cut only when rooted, insecticide and fungicide must be applied within five business days following turf installation, excluding Bahia, do not apply fertilizer or weed control for 45 days. Water St. Augustine and Zoysia at 8a until rooted, 45-60 mins. rotors, 25-30 mins. sprays. Once lawn is rooted you may gradually cut back to your normal two days per week watering schedule. For heavily shaded areas with St. Augustine please water once per day in the morning at 8 a.m., rotors 40 minutes, sprays 20 minutes, and adjust if needed. Lawn can be cut only when rooted, insecticide and fungicide must be applied within five business days following turf installation, excluding Bahia, do not apply fertilizer or weed control for 45 days. All sod is guaranteed to be free of damaging insects and fungus upon delivery and/ or installation. Some Grey Leaf spot fungus is normal during the summer months and should be treated upon installation. Any problems with the sod must be reported within 24 hours of installation and/ or delivery. We will extend an optional 30 day warranty to any customer who would like to hire us for the initial care during the 30 day period following installation and/ or delivery. This care consists of us applying insecticides and fungicides as needed, as well as making 3-4 trips out the first month to set the irrigation controllers as detailed on our instructions. Cost for this service varies during the year as care needed varies, please inquire for details. 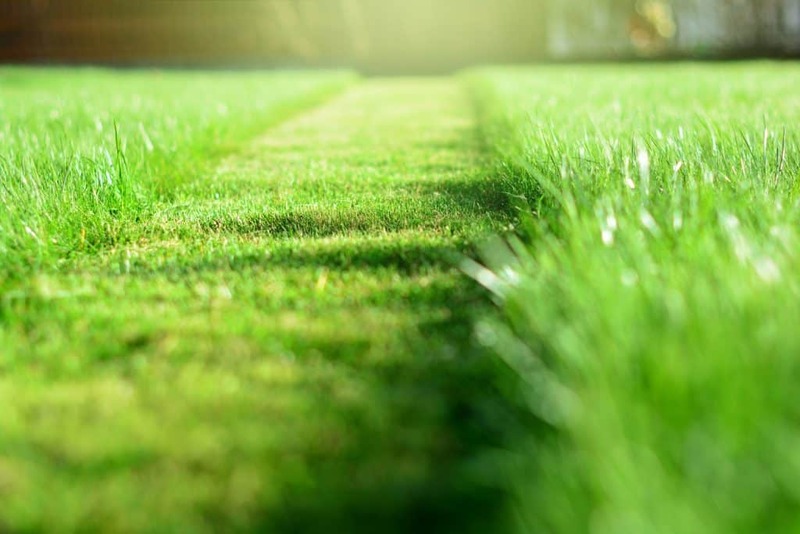 Ground Source, LLC is not responsible for any damage to concrete, unmarked septic tanks and drain fields, unmarked irrigation valves or other objects beneath the grass that are not visible. We will mark all irrigation heads on a residential project prior to starting and take full responsibility for damage to them. If the job is a commercial project, irrigation heads and all objects beneath the surface that may be damaged, must be flagged prior to us beginning work by our customer. If we are a subcontractor or a third party the person or company that signs this proposal, our customer, is responsible for the release and other terms listed herein. All sod that is brown, dry, discolored, or diseased when delivered must be reported to us within 24 hours of installation. We request you notify us with problems with your sod by telephone followed by e-mail with "read e- mail requested". We can not be responsible for sod that receives too much water from excessive weather patterns and/ or customers that do not regulate the amount of water applied. DEFAULT. In the event the owners shall default in payment of the contract price or payment for extras as set forth below, or the owner prevents the Contractor from completing this contract through a material breach of responsibility or warranty of owner as contained herein or owner defaults in any other provision of this contract, contractor may, at its option, retain all amounts paid by owner as damages, or seek other remedies or recover the unpaid balance of the contract price, including extras.On owner’s default, the contractor may stop performance and withdraw his crew, equipment, fixtures and materials supplied by the contractor.The title to and ownership of all equipment and accessories whether affixed to the owner’s realty or not, shall remain the property of the contractor until all amounts due under this contract have been paid.Owner shall pay all costs and expenses of contractor incurred in enforcing this contract including reasonable attorney fees and court costs. MANDATORY MEDIATION-ARBITRATION. All claims, disputes or issues arising between the contractor and owner concerning any matter shall first be submitted to mediation within 30 days of any dispute.The mediator shall be chosen by mutual agreement.In the event the parties cannot agree as to a mediator, then the contractor shall choose a third party to be the mediator.If claims, disputes or issues arising between the parties cannot be resolved through mediation, then the parties agree to submit the same to binding arbitration pursuant to the Florida statutory (chapter 44 and 682) rules of arbitration. ENTIRE CONTRACT. Owner warrants that this contract contains all the understandings and agreements of the parties. Any changes or modifications of this contract must be in writing. DELAYS AND DEVIATIONS It is understood that Contractor will not be responsible for delays caused by conditions beyond its control and that this proposal may be withdrawn after thirty (30) days from this date if not accepted. It is also understood that any alteration or deviation mutually agreed to in writing from the original contract will become a part of the contract and may include additional charges as a result of the alterations or deviations. WARRANTY Contractor agrees to substantially complete the work contracted for in a workmanlike manner and agrees to repair or replace items covered by the warranty provided the Owner has paid all amounts due the Contractor under the contract and furnishes the Contractor with written notice of the defect or malfunction within the warranty period. THIS CONTRACT CONTAINS NO COMPLETION DATE AND NO PENALTY OR AWARD CLAUSES.ALL OTHER WARRANTIES ARE EXCLUDED WHETHER EXPRESSED OR IMPLIED BY OPERATION OF LAW OR OTHERWISE, INCLUDING ALL IMPLIED WARRANTIES OF MERCHANTABILITY OR FITNESS.CONTRACTOR SHALL NOT BE LIABLE (DIRECTLY OR INDIRECTLY), UNDER ANY CIRCUMSTANCES FOR INCIDENTAL OR CONSEQUENTIAL DAMAGES ARISING OR RESULTING FROM A BREACH OF THE CONTRACT OR A WARRANTY UNDER THE SALE, CONSTRUCTION, INSTALLATION, HANDLING OR USE OF THE GOODS SOLD.CONTRACTOR LIABILITY HEREUNDER AND OWNERS EXCLUSIVE REMEDIES HEREUNDER EITHER FOR BREACH OF CONTRACT OR WARRANTY OR FOR NEGLIGENCE ARE EXPRESSLY LIMITED TO THE GIVING OF CREDIT OR REPLACEMENT.CONTRACTOR MUST BE GIVEN WRITTEN NOTICE IDENTIFYING THE DEFECT WITHIN 24 HOURS AFTER THE OWNER HAS ACTUAL CONSTRUCTIVE OR IMPLIED NOTICE OF DEFECT OR ANY SUCH DEFECT IS WAIVED.OWNER MUST ALSO GIVE THE CONTRACTOR THE OPPORTUNITY TO INSPECT THE ALLEGED DEFECT. FAILURE TO GIVE REQUIRED NOTICE OF DEFECT WITHIN THE TIME PROVIDED CONSTITUTES A WAIVER OF THE DEFECT AND OF A CLAIM FOR CREDIT OR REPLACEMENT.THE CONTRACTOR’S RESPONSIBILITY TO GIVE CREDIT OR REPLACEMENT IS FURTHER LIMITED TO THE EXTENT THAT CONTRACTOR IS ABLE TO OBTAIN EQUIVALENT CREDIT OR REPLACEMENT FROM THE ORIGINAL MANUFACTURER OF SUCH GOODS OR FROM THE ORIGINAL SUBCONTRACTOR PERFORMING THE WORK (IF ANY). ATTORNEYS’ FEES. In any litigation, including breach, enforcement or interpretation, arising out of the sale or delivery of the product, the prevailing party shall be entitled to recover from the non-prevailing party, a reasonable attorney’s fee both at the trial and appellate levels, together with costs and expenses. REAL OR PERSONAL PROPERTY. It is agreed and understood by all parties that all equipment and parts which are sold pursuant to this contract shall NOT become fixtures or part of the real estate where they are placed.Said equipment and parts shall at all times remain personal property and the title thereto shall remain in Contractor until full payment is received. DEFINITIONS. The term “Contractor” as used herein shall mean Ground Source, LLC.The term “Owner” shall be singular or plural and shall include the heirs, personal representatives, and successor or assigns. RIGHT TO CANCEL Customer has "3" day right to cancel this proposal, known as a "cooling off period. "If we are hired at time of the proposal and Round- up is applied prior to cancellation, customer agrees to compensate us, $.03 per square foot, a minimum of $75.00, and shall not exceed $300.00, for services rendered that day.